Jan 20, 2017: Question for battery packs. Jan 28, 2017: How can i determine whether a charger of mine is safe for my pixel? Feb 01, 2017: Best portable lightweight battery pack for having smartphone in one pocket and the battery pack in another? Feb 22, 2017: Good powerbanks under 10$? May 30, 2017: where i can buy portable case? Jun 08, 2017: Best type of portable charger to bring? Aug 06, 2017: I'm traveling to West Africa for a month and want to bring two (possibly three) books with me. Aug 11, 2017: What would you EDC, except for the weight or size, and what problem would it solve? Aug 12, 2017: After a 6 week trip around Europe here are my top items that made my life that much easier! Sep 10, 2017: Where can I find these lights?? Sep 20, 2017: Help finding the right backpack and battery pack! Oct 25, 2017: Best products sub $100 from Amazon!? Dec 17, 2017: Best power bank for the switch? 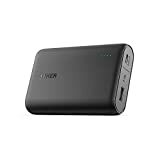 Dec 30, 2017: Best portable chargers for the Switch? Jan 18, 2018: Best power bank for Pixel XL right now? May 30, 2018: [Contest] for the sake of hurricane preparedness. Nov 14, 2018: Whats the best battery everyone is using now?